Whoa! New Instagtam feature alert! 06 Dec Whoa! 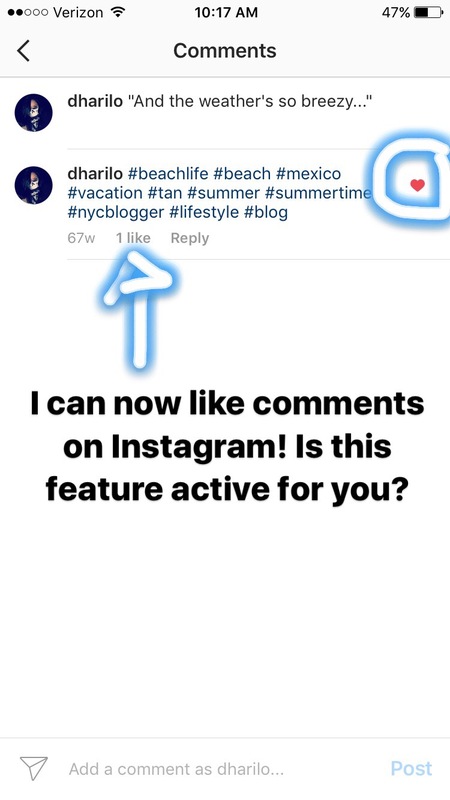 New Instagtam feature alert! I was scrolling through my Instagram account, making sure things look how I want, getting rid of photos I don’t need when I noticed a new Instagram feature. I can now now like comments on instagram! Is this active for you?